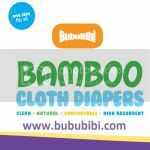 BubuBibi - www.bububibi.com - Bamboo Cloth Diapers: Salute to all the single moms out there, how do you do it? Salute to all the single moms out there, how do you do it? Brought him to the after care clinics, for first time mom, if you have to see the doctor anytime after office hours or on the weekend, you can search for pediatrics after hours. For example, the one near our city is open from 4.30pm to 11pm on weekdays and on the weekends, they are open from noon to 11pm. We found out with my first child that we can go to these places instead of going to the ER. At least for our insurance, copay for ER is $100 versus $20 for these urgent care. Most importantly, there is virtually no wait time if we are there but we have been to the Children's Medical Center and had to wait for 1-2 hours. Anyways, we were there and doctor said that it was just a regular cold. Then, on Sunday night, he still doesn't look good, told my husband to take off this week and he kept quiet. On the other hand, I was getting really stressed up because my coworker happen to be online on MSN and told me work is very critical and they want everyone to report at another location on Monday and it is compulsory to be at work on Monday. Again, I couldn't sleep till almost 3am because I was all stressed up, afraid that if I don't show up at work, I will lose my job but if I do, shall I bring my little baby who is not feeling well. I have always been classified as the selfish mom as I have been traveling since I had my first baby and after having babies, I will start flying at 10 weeks. People don't realize how hard it is for me to have to leave my love ones every Monday morning. People think that after 5pm, I am a free women since I don't have to take care of my babies. That is so not true. If I don't bring my little one with me, I work in the office everyday from 8am to 8 or 9pm at night. Most days, I will either pack food for lunch or not have lunch. Then, after work, I go to a drive through, get my food and quickly go back to the hotel so that I can deal with my business stuff. I have to do shipping, answer email, listings, communicating with suppliers, etc and most nights, I sleep at 2+am. It is easier said that then, even my own sister said... you should find something near home. She doesn't understand or those who comments doesn't understand that the nature of my job includes traveling to client's location. Then some said... expand your business and stay home. It is always easy to just sit down and look at the other party and comment on things. I wish life was that easy and perfect for me. Unfortunately, it is not :( My husband lost his job several years ago and was unemployed for 2.5 years. We have gone through some tough time and I refuse to ever be in that situation, that is why I work so hard and yet hang on to my job so that we have more money saved up for the rainy days. It is different when we did not have kids but now with kids, we want to make very sure that there are extra during the rainy days. Hubby didn't say anything on Monday morning, so, I ended up bringing him with me. I had to rush to the daycare and drive another 45 minutes to the new location. I went to the daycare to pick him up on Monday evening and he started having fever. I called the night line and they told me to take off everything and just let him wear something light. 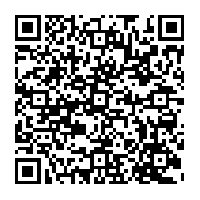 I did and his temparature when down a little. Next morning at 5+am, I got up to prepare and when I looked at him, he was as red as a lobster. I touched him and it felt like he is burning, thank goodness it was just 100.1 but still very scary. My first one did not have fever until he was over 1 but this poor little baby is just 4.5 months. I quickly called my husband and he drove down to meet me so that I can go into the office for the critical week. Unfortunately, bad luck is with him, he got a speeding ticket, he told me that he thought it was still a highway and should be 70, so, he went at 70, which he thought was the speed limit, unfortunately, it is 55. He came with my oldest son and 3 guys were in the hotel room for 3 days while I am at work. Finally, on Thursday, we flew home. I feel like my back is about to break, I do have scoliosis and carrying my baby plus a huge back that looks like is 1/3 of my size is pretty tiring. My friend told me, can you imagine having to go through what you went through if you were a single mom? That strikes me, she is right, even though I have been complaining but I am lucky that my husband came to rescue me. I cannot imagine all the single mom or dad out there. All I can say, I SALUTE!!! !